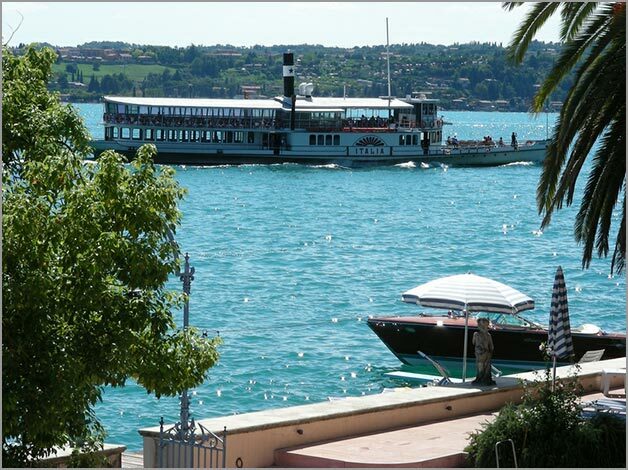 Gardone Riviera is one of the most famous and elegant locations on Lake Garda. 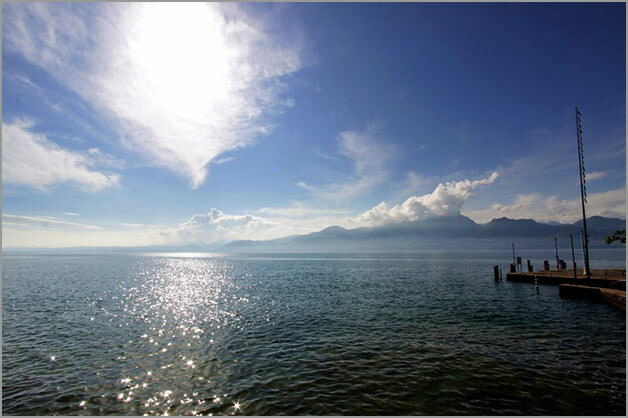 It is located on Western shore of Lake Garda. Lush vegetation surrounds elegant villas, luxury 19th century hotels and blooming private gardens. 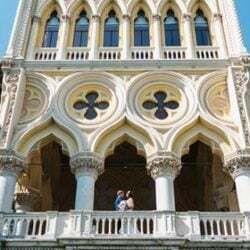 ardone Riviera is called garden town It is embellished by a wonderful Alpine panorama and it is characterized by a Mediterranean climate all over the year. 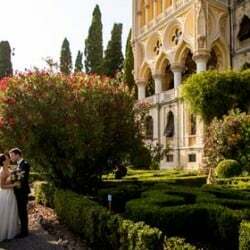 ineteenth century it is known as one of the most elegant period on Lake Garda. 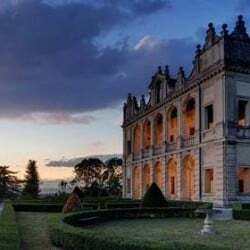 One of the most famous villas in Gardone is Vittoriale, where famous Italian writer Gabriele D’Annunzio had his home. 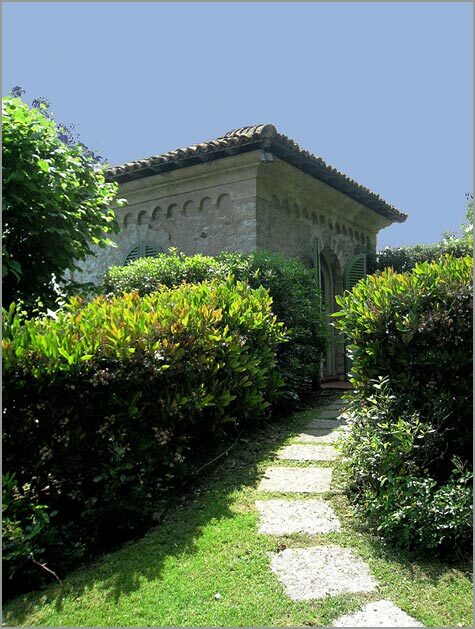 He enriched the villa with his historical relics and precious objects. Villa’s outdoor theatre leans toward the lake. During Summer villa offers a wonderful theatre season: ballets, dramas, cabaret, classical and pop concerts. 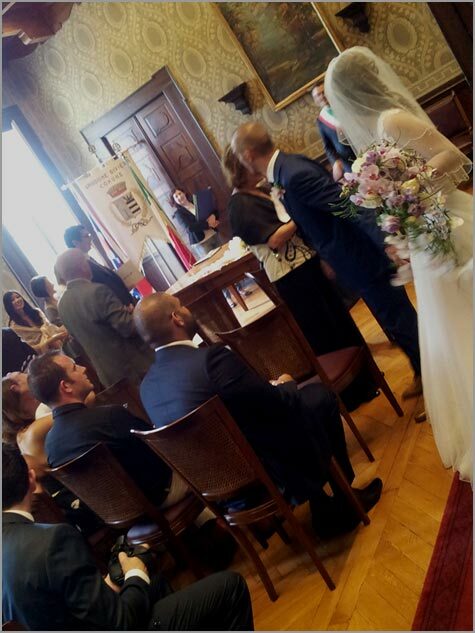 Town Hall of Gardone Riviera is indeed a delightful venue for an intimate and refined civil wedding. 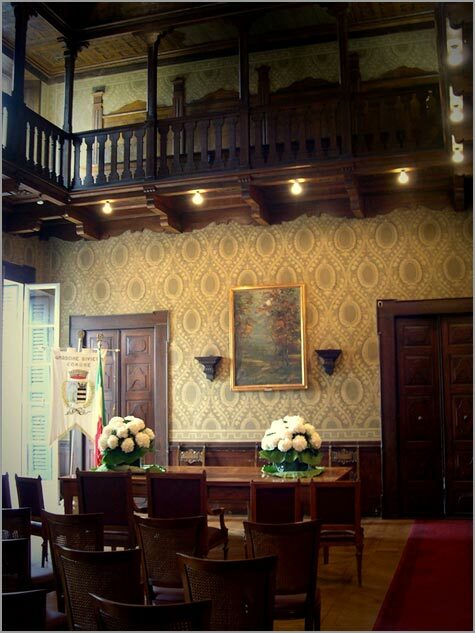 Laid on a hill overlooking the lake, it offers a stunning frescoed hall with an impressive wooden ceiling. 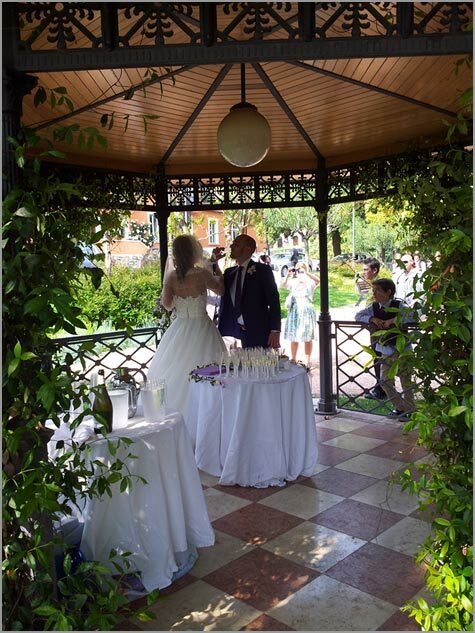 oing down the beautiful marble staircase as newlyweds you can have a toast to your new life in the pretty little garden under an elegant gazebo and secular trees. Walking to the lake you can take a boat and enjoy a trip on the lake with all your guests. 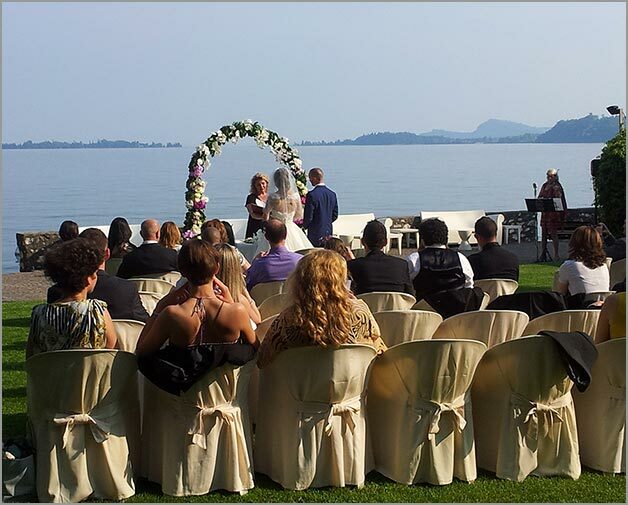 Your wedding photos can be truly stunning on the lake! You can reach your reception venue by boat. 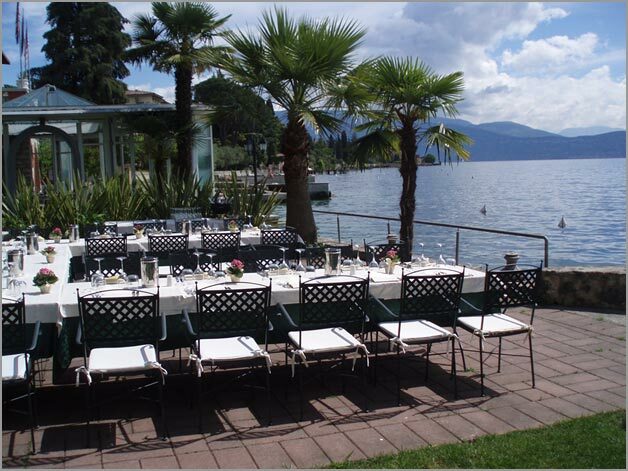 Few steps away from amazing villas in the oldest part of Gardone, there is a historical restaurant surrounded by the lake and a lush and well kept garden. 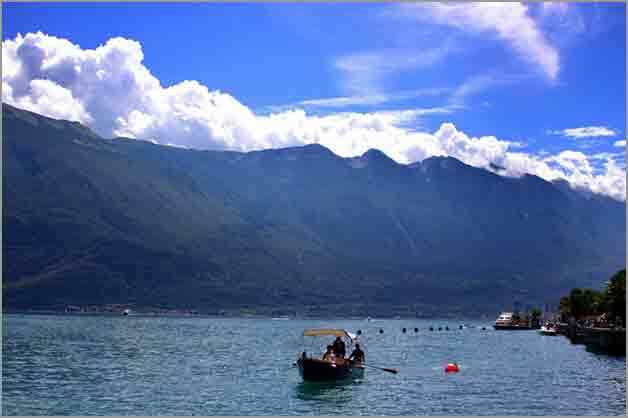 n this little corner of paradise, you will be amazed by the quietness and the extraordinary beauty of the lake. You will also appreciate the warmth and the excellent cuisine. 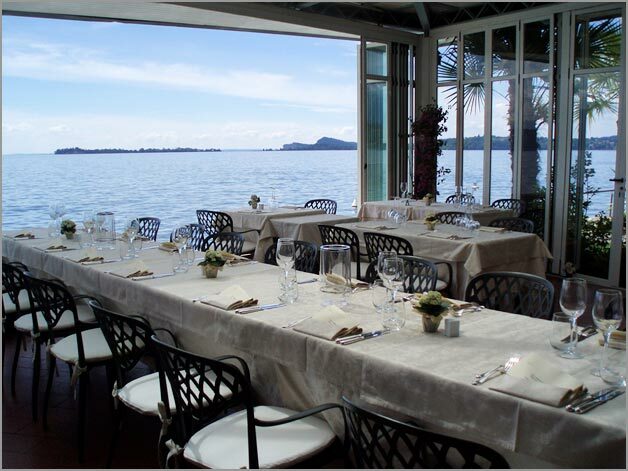 Restaurant’s great cuisine is based on local products, and fine local wines will emphasize delicious fish based dishes. 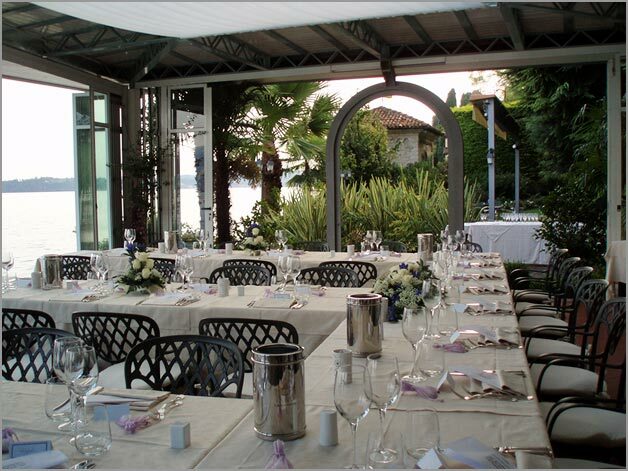 The beautiful garden of the restaurant could also host lovely symbolic ceremonies overlooking the lake followed by an elegant wedding dinner outdoors. You could also choose covered veranda that allows you to enjoy the lake thanks to its fully open large windows. It seems like eating suspended on waters! 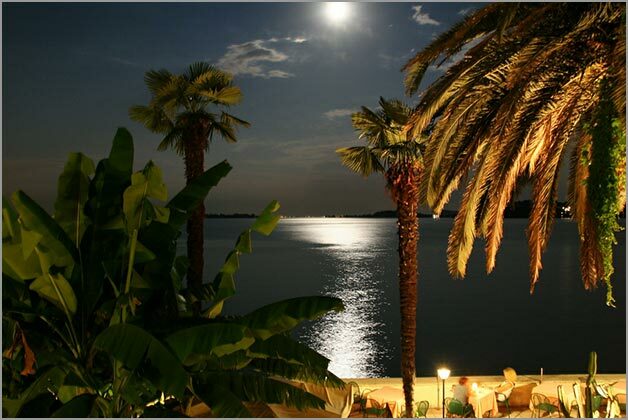 ive music for your party to enjoy night lights on Lake Garda. 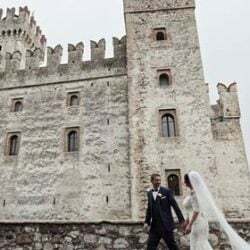 If you are looking for a special and intimate reception there is also a little tower that host a single 2 to 8 seating table. 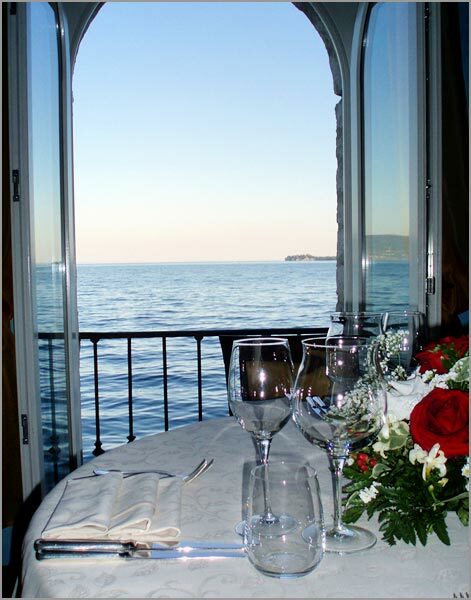 A special window on the lake just for you and intimate friends or family. 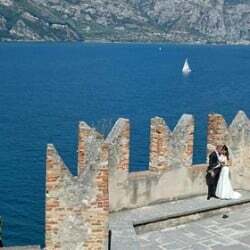 Please CONTACT US to make this enchanting venue the frame of your wedding on Lake Garda! 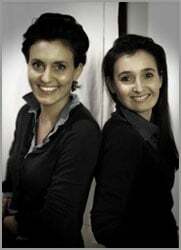 For any information about wedding in Gardone Riviera please contact Angela and Katiuscia. 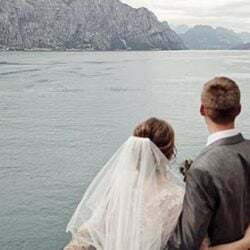 How much approximately does a boat trip for weddings cost in the gardone area? 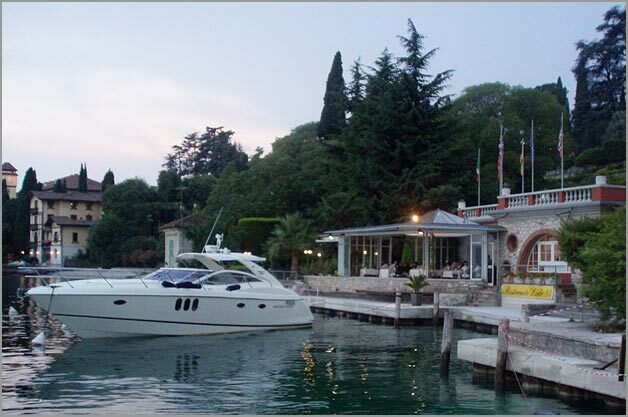 I will be happy to send you an e-mail with first information for your boat trip around Gardone Riviera area.